Enjoy sweet dreams with two bedding favorites in one design. Soft, thick quilt features a chenille floral lattice and tufted chenille border for luxurious dimension and beautiful contrast. 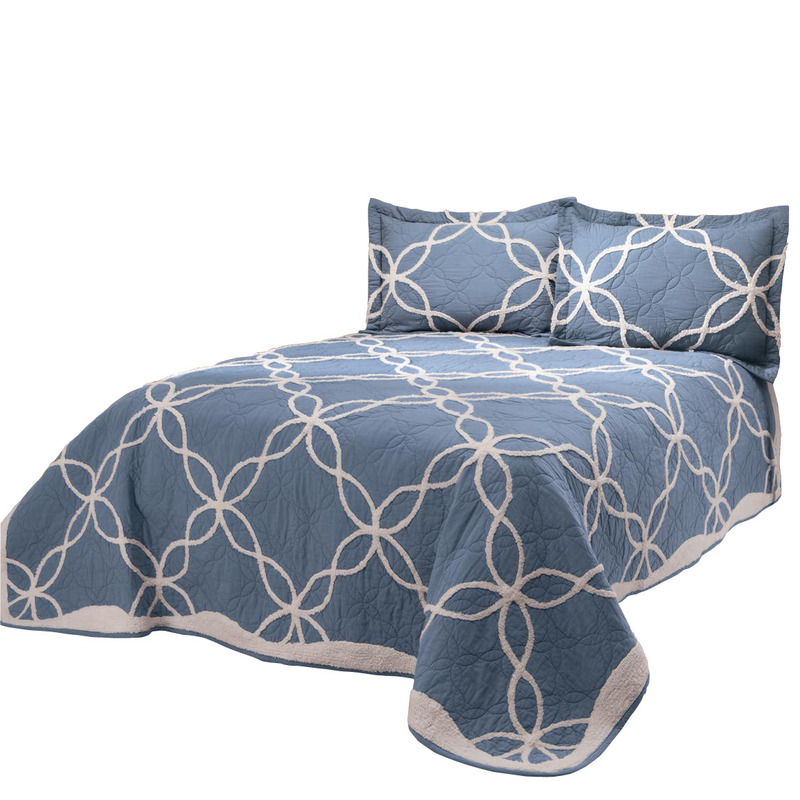 100% cotton quilt is the perfect weight for any season — warm and cozy in winter, cool and crisp in summer. Specify color: taupe or blue. Machine wash separately, cold, gentle cycle, no bleach; tumble dry low. Imported. Pairs perfectly with our Sophie sham (sold separately). 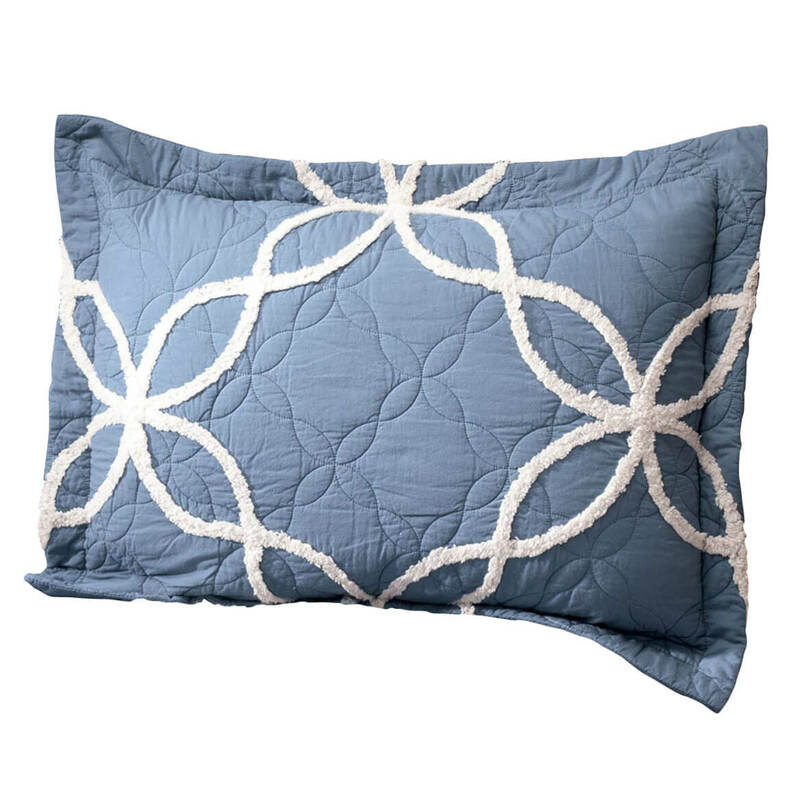 The perfect complement to our Sophie quilt, this soft, quilted 100% cotton sham features a chenille floral lattice and tufted chenille border for luxurious dimension and beautiful contrast. Choose from two colors to complement your bedding ensemble: taupe or blue. 26” long x 20” wide with 2” border. Sham opening is a back flap for easy access. Machine wash separately, cold, gentle cycle, no bleach; tumble dry low. Imported. Sophie quilt sold separately. Show your legs some love with these silver compression socks! Graduated 20–30 mmHg compression stockings encourage healthy blood circulation, help prevent deep vein thrombosis, and soothe fatigue, mild edema, varicosities, and pain in the legs and feet. Naturally antimicrobial genuine silver woven into the sock is believed to help stop the growth of fungus, bacteria and odors and won’t wash out. Choose from 2 sizes: regular (fits women’s shoe size 5–8) or large (fits 8–11). Support hosiery made with 60% nylon/24% elastic ribbon/10% spandex/6% silver antimicrobial. Hand wash warm, mild soap, no bleach; lay flat to dry.